Reformation’s Brewmaster Nick Downs fell in love with craft beer during his time flying 777 planes for Delta, where he has been piloting intercontinental flights for more than 25 years. Flying to and from Western Europe, Downs was able to try — and bring back — some of the most highly respected craft beer in the world. Between flights, Downs would share his exotic Belgian and German beer with his good friend Spencer Nix, who was an evangelical pastor at the nondenominational church of Isaac’s Keep in Canton, Georgia. Downs and Nix began holding monthly get-togethers to share their homebrewed beer with friends. Over the next three years, their monthly “Brew Night” grew exponentially into a community event at Downs’ home in Ball Ground, Georgia. More than 100 friends and neighbors would attend, some bringing food or instruments, and the two homebrewers began to have difficulty keeping up with the demand for their beer. It wasn’t long before guests started suggesting that Downs and Nix should open a professional brewery. 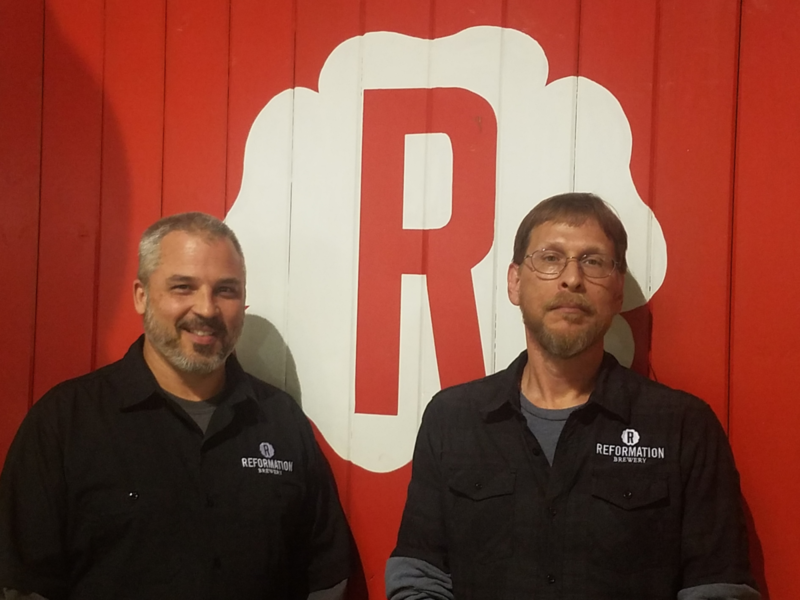 CEO Nix and Brewmaster Downs co-founded Reformation Brewery in 2013 and quickly became a respected name in the Woodstock community. 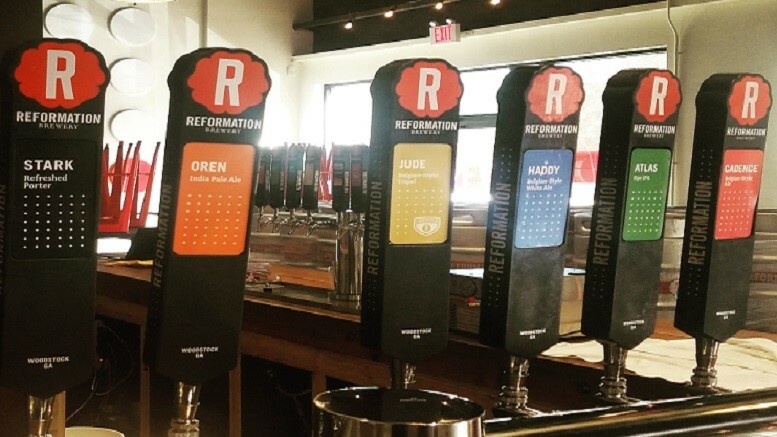 Reformation’s consistent and reliable craft brews can now be found in stores all over Georgia, and are a staple in Downtown Woodstock hubs such as Freight Kitchen & Tap. Reformation’s recently hired a new operations manager, who will be responsible for ensuring consistency and quality in the beer. An accomplished homebrewer with a mind for engineering, Matt Tucker worked at the Kennedy Space Center in the early ‘90s while he developed a passion for homebrewing on the side. Initially, Tucker was homebrewing only once or twice per month, until he got hooked on the practice. He started working as packaging and production manager of Tampa, Florida-based Cigar City Brewing and later as head brewer of Cigar City Brewpub. Tucker has received several brewing awards, including the Homebrew Competition gold medal for 2012’s “Florida Home Brewer of the Year” and 2013’s BOS Best Florida Beer Competition for Cigar City Brewing’s Vienna Lager. Before moving to Georgia and joining the Reformation team, Tucker was the head brewer and director of brewing operations at Jdub’s Brewing Company in Sarasota, Florida. Reformation recently announced that it will open a second facility in downtown Woodstock in spring 2018. The company intends for the location to serve as a research and development facility, as well as the primary community taproom. Downs and Tucker said that the main reason the company is planning to open a new location is because high demand for Reformation beer requires more physical space for brewing equipment, which also means less space for patrons in the taproom. Although the brewery can comfortably seat a few dozen guests, operational machinery occupies a significant portion of the current taproom. Since the recently-passed Senate Bill 85 allowed direct sales of beer to customers, Reformation needs more space to entertain the influx of patrons. Though the company can’t speak much more about future plans, as they are always subject to change, Downs estimates that expansion of the brewing operation will allow annual production of about 15,000 barrels of Reformation beer — more than double their current amount. 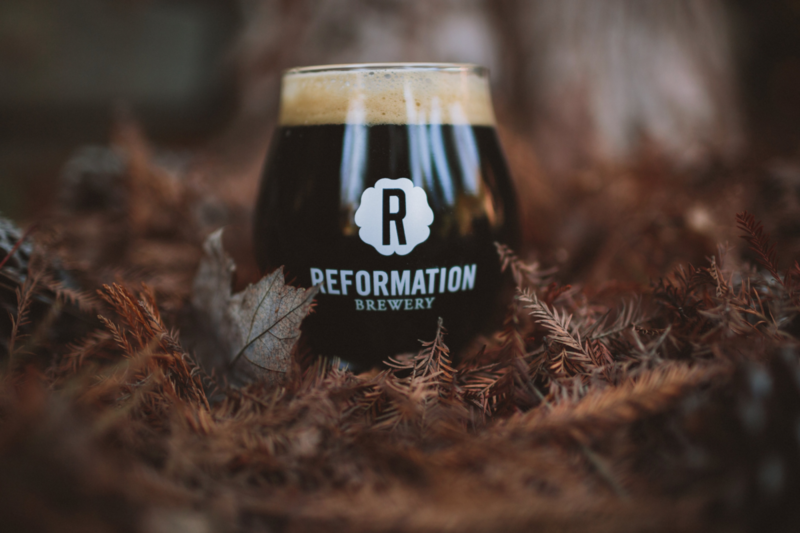 Reformation’s limited release festive stout, “Scout the Storyteller,” is brewed with fresh ginger, cinnamon, clove and nutmeg. Scout is brewed specifically to be enjoyed in the holiday season, and will be available on draft at the brewery and in 12 oz. cans in the metro Atlanta area starting Dec. 1. Alex Patton is a journalist and a graduate of Kennesaw State University. When he isn’t writing about music and entertainment, he spends most of his time cooking, watching cartoons and over-analyzing the secrets of the universe. 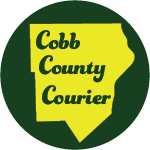 He is a freelance writer for the Cobb County Courier. 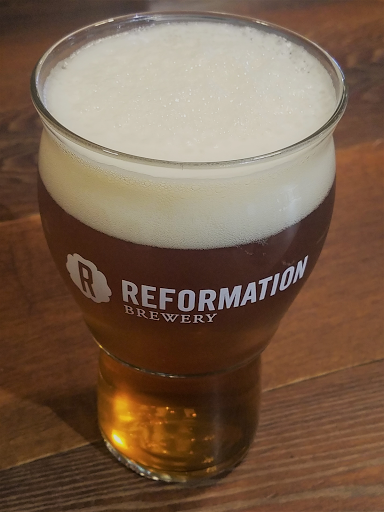 Be the first to comment on "Local brewery of the month: Reformation Brewery"